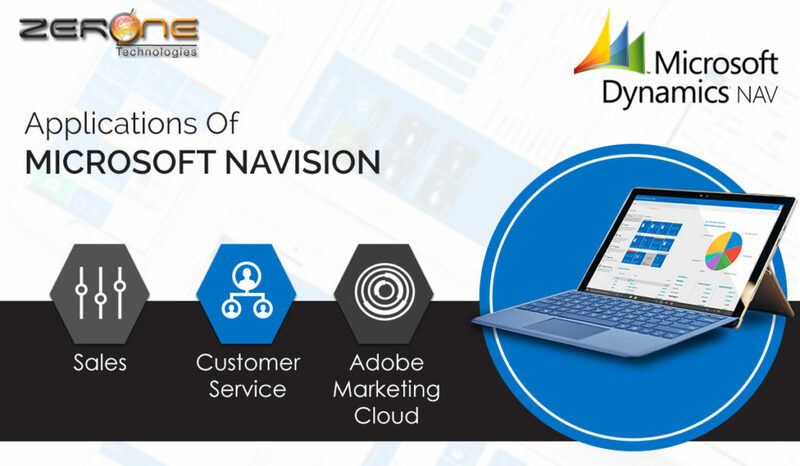 For businesses in Qatar, Bahrain, UAE or elsewhere in the Middle East, as a complete software solution for enterprise resource planning (ERP), Microsoft Dynamics Navision provides value that can be extended across the operations. It helps you to simplify your business operations, make smart decisions, and improve productivity as the ERP software is easy to configure and simple to use. Microsoft Navision can be implemented pretty quickly and can be used to automate as well as connect accounting, sales, purchasing, operations, and stock management functions. Some of the users in the Gulf region include Qatar Express Transport Co., Qatar Airways, Aluminium Bahrain, and Dubai School of Government. Sales: You get to understand your customers’ needs better, engage with them in an effective manner, and bag more deals. You can also drive innovation through personalization, extension, and by connecting with other apps. Customer Service: Customer expectations are on the rise. They want relevant answers quickly and even on the go. Microsoft Dynamics NAV’ built-in intelligence helps to deliver personalized service faster. Field Service: Field Service application delivers a seamless and end-to-end positive onsite experience. The built-in intelligence of the app helps you to resolve service issues even before they occur and reduce operational costs. Talent: You can help your employees to put up their best performance and drive their career growth with this application. Dynamics Navision enables attraction, development, engagement, and retention. Finance and Operations: Using this application, you can accelerate the growth of your business by unifying global financials and operations, and adapting quickly to the changes in market conditions. Retail: With the help of Microsoft Navision retail application, you can engage each and every shopper, irrespective of where they are as it helps to unify in-store, digital, and back-office operations. Project Service Automation: Dynamics Navision Project Service Automation application allows you to deliver projects on time, keeping the costs within the specified budget. You can build long-lasting relationships by delivering outstanding experiences. Adobe Marketing Cloud: By unifying the sales and marketing functions, you can ensure great customer experiences. An integrated platform and sharing of data enable you to have a clearer view of your global customers. Zerone Technologies, Microsoft Navision Partner for Qatar, UAE, and Bahrain, has a professional team to provide technical support for businesses in and around the Middle East. Zerone can implement the Microsoft Navision ERP solution without causing any kind of disruption to your routine business. As the best Microsoft Dynamics NAV Partner, Zerone understands your specific needs and will maintain a communication channel with you to streamline your operations quickly and provide value across all of your business functions. Microsoft Navision provides the best and complete solution for all growing businesses.